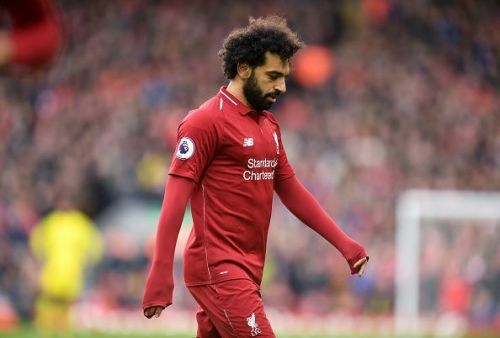 Former Liverpool striker, Emile Heskey believes that Mohamed Salah is trying a little bit too hard to be like Lionel Messi and Cristiano Ronaldo. Mohamed Salah joined Liverpool from AS Roma in the summer transfer window of 2017, and what a signing he has proved to be for the Reds. The Egyptian won the PFA Player of the Season accolade last season and he also created a record for scoring the most number of goals(32 goals) in a 38-games Premier League season. The 26-year-old is enjoying a decent campaign this term as well but he failed to perform to the levels he set for himself last season. Former Chelsea man is currently witnessing his longest dry spell in a Liverpool shirt, as he failed to find the back of the net in his last seven outings in all competitions. Speaking to Sky Sports(via Goal.com), Emile Heskey said that Mohamed Salah is trying a bit too hard to replicate his performances of last season. “He's still got 17 goals [in the Premier League], so he's not having that bad a season but he's probably just trying a little bit too hard. "He's not getting that luck now, but he still wants to get the goals and everyone is still looking at him as that go-to guy for the goals." Liverpool are scheduled to play Tottenham Hotspur and Southampton in the league next before hosting FC Porto at Anfield for the first leg of the Champions League quarter-finals on April 10.